Bluesy rock dudes the Black Keys released their bluesy rock album Turn Blue earlier this year. Now, they've treated album track "Weight of Love" to a new video. Rather than keep it simple, the seven-minute slow-burner is offered a deep, long narrative from director Theo Wenner. The clip opens with an appearance from frontman Dan Auerbach as a televangelist. 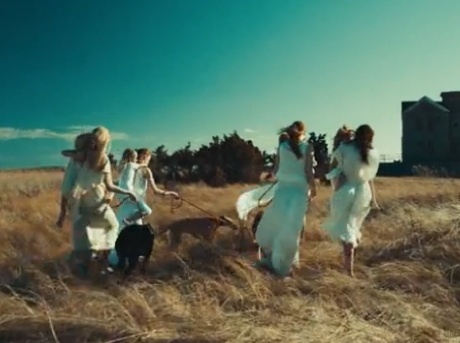 Then it settles on the story of a white-clothing-clad cult, and features supermodel Lara Stone as its protagonist. Watch the video for "Weight of Love" below via Rolling Stone. The Black Keys also recently announced a hefty North American tour, the dates of which can be seen here.